In an age of 0’s and 1’s, of digital correspondence being sent in a flash, it’s humbling to think of a time when print had to be manipulated and placed by hand. Nowadays, newspapers and books are mostly created on the computer. 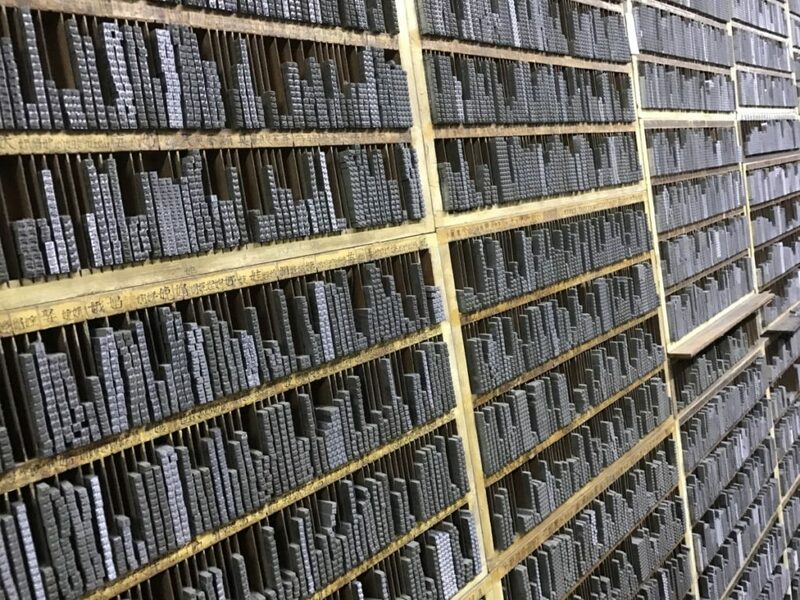 Way back when though, moveable type would have been used, in conjunction with a printing press, to produce multiple copies of the same thing. 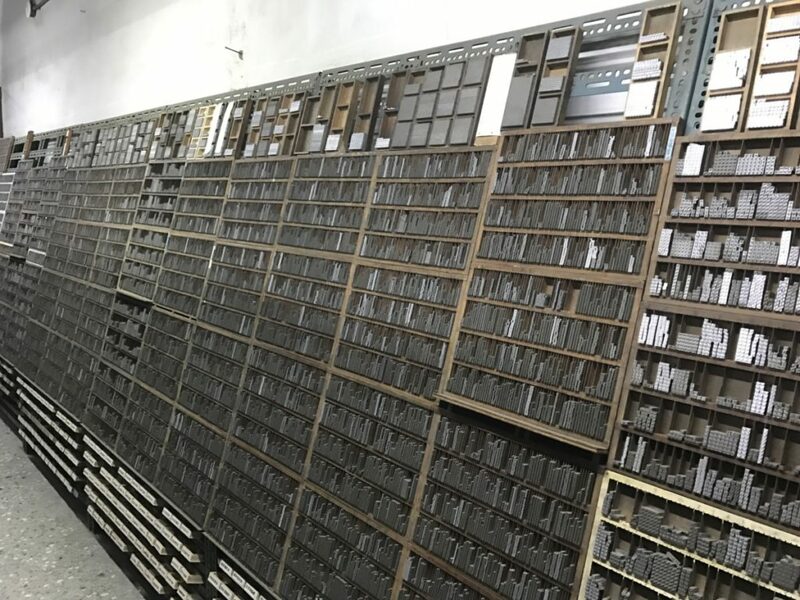 At Ri Xing Type Foundry (日星鑄字行 / ri xing zhu zi hang) in Datong District, the legacy of Traditional Chinese type lives on. Ri Xing Type Foundry is one of those places you never knew would exist. And yet, along an otherwise quiet lane, filled with hardware shops, you’ll find this unsuspecting shop with shelves and shelves of characters. All told, there are thousands of characters, many in three different font-styles and seven different sizes. This store stands as a reminder of how things used to be done, of the thousands of printing presses that used to exist in Taiwan. Not really having any specific characters to get, I came away with my name written in a small and large font size. It took a while to find my characters, but after some quick deduction, I realized there was at least some method of grouping characters together. They sell some boxes for turning your finds into gifts, but I just went with the simple option of the type pieces bound with a rubber band, placed in a small paper envelope. 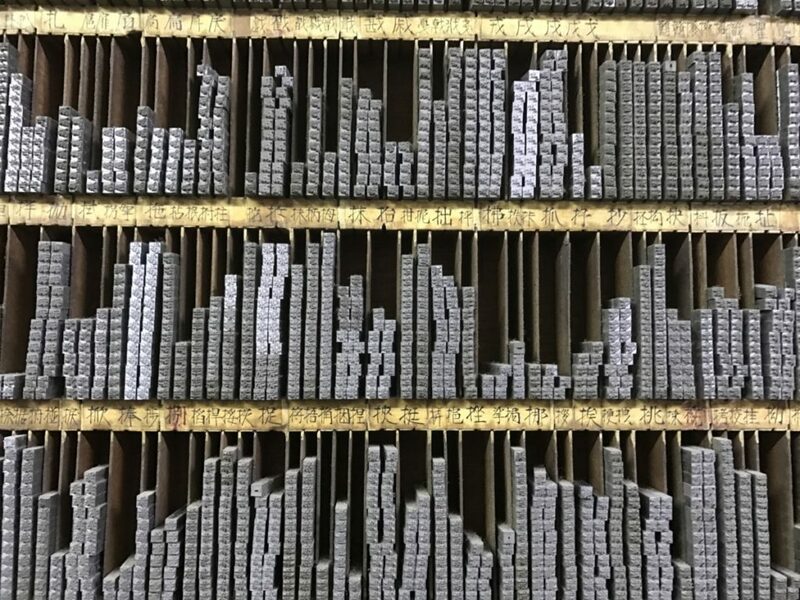 If you happen to be in the area and/or really love print, take some time out of your schedule to drop by and get lost in a little piece of history. The post Exploring One of The World’s Last Type Foundries appeared first on Collecting Experiences.